Kids Reading to Succeed: Closing Out 2013 With "Opera Month"
Closing Out 2013 With "Opera Month"
For our last program of the year we decided to try something new. December was “Opera” month at KRS, which gave the students the opportunity to learn about the art form and the cultural differences that underpin its many iterations. 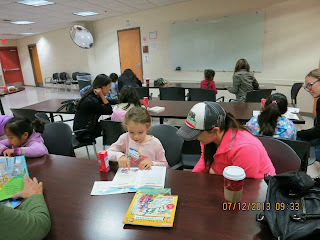 Besides reading books that they had selected, students at the Union Rescue Mission and Villa Parke read about the history of opera and learned new vocabulary words before the second half of the program. 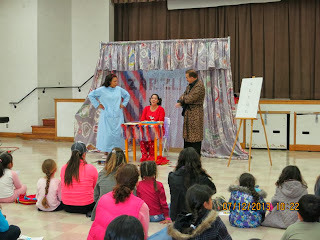 At Villa Parke, the Guild Opera Company put on a performance of “Estrella”, a story about a young girl who had to learn how to read and write in order to achieve her ambition of becoming a zarzuela singing star. Students sang along in both English and Spanish and later took home gifts donated by LeapFrog. 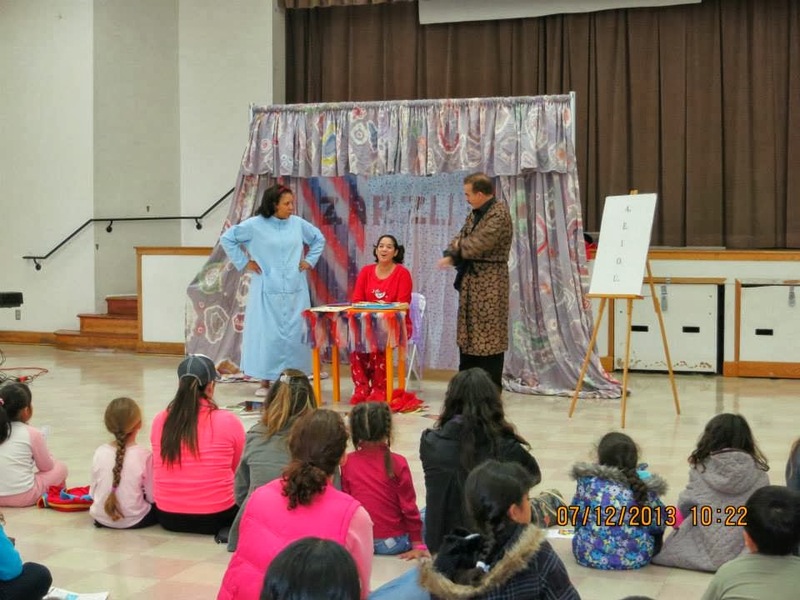 At URM, Katie Ng spoke to the students about Chinese opera, focusing on the intricate costumes and symbolic face paint that are used to help tell the story. Afterwards, the students made their own opera masks to take home. Thanks to all the parents and volunteers who made 2013 a great year! 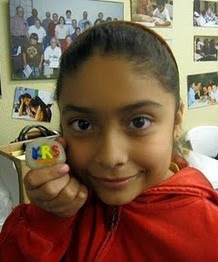 KRS will be back in 2014 starting on January 11 and we will be opening a new site at Jackson Elementary in Altadena. To volunteer, click the “Get Involved” tab to sign up for one of our locations.